Named after Nicaragua´s national tree, Madroño, this Core Coffee represents the excellent quality of washed Nicaraguan coffees. The Madroño coffee hails from dozens of producers from both the Nueva Segovia and Jinotega regions. It is created by combining coffees with similarly creamy, chocolatey profiles with a hint of tart lime zest. 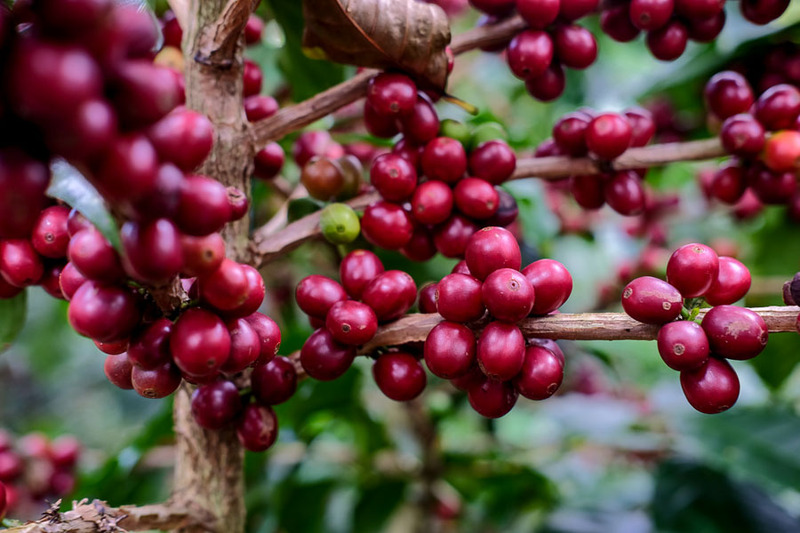 The producers who cultivate the coffee for Madroño have worked with Francisco Valle of Expocamo, our Nicaraguan export partner, for many years and have allocated coffees that consistently deliver quality. Building the Madroño Core Coffee means that Ally can support whole communities of growers by buying nearly their full harvest. The most unique portion of the same producers’ harvests are what we offer as microlots. Expocamo is a top-notch dry mill and exporting company that specializes in superb drying and rigorous quality control processes. 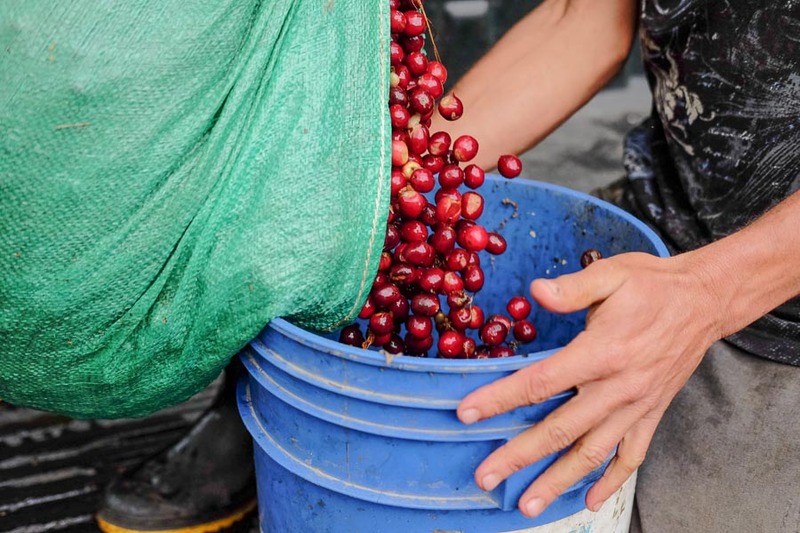 The company receives coffee from nearly 100 farmers, which results in over 3000 different day lots entering the mill over the course of each harvest. All these lots are dried and cupped separately. Each day, the coffees fitting the Madroño profile are especially selected for Ally Coffee to make a consistent Core Coffee. All producers wet-process their own coffee and then bring it to Expocamo’s drying stations or directly to one of the receiving stations. 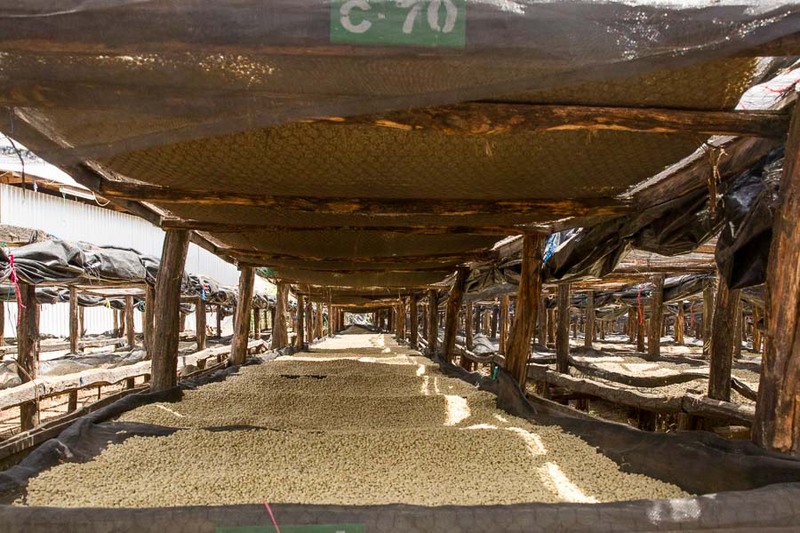 The coffee is then dried on one of the 500, 150-foot long drying beds under the protective cover of 72% shade. This drying process ensures the coffee does not come in contact with any direct heat from either the sun or an underlying surface, such as concrete. Consequently, this results in a very delicate drying process which significantly extends coffee’s freshness. Read more about Ally’s Core Coffee program. The Nicaraguan Department of Jinotega has a long history predating the arrival of Europeans. The mountains are verdant and filled with rivers and mists, making them apt for crop cultivation. Traditionally, Jinotega was known for producing large amounts of lower grade coffee, back when specialty coffee production was exclusive to large estates with greater resources. This has now changed; in recent years small producers in Jinotega have adapted their production techniques to produce specialty coffee. This change has largely been inspired by Expocamo, a specialty-foucsed miller and exporter located in nearby in Nuevas Segovias. Today, coffee farming families in Jinotega produce several varieties of high-grown Arabica coffees in many communities around the department. 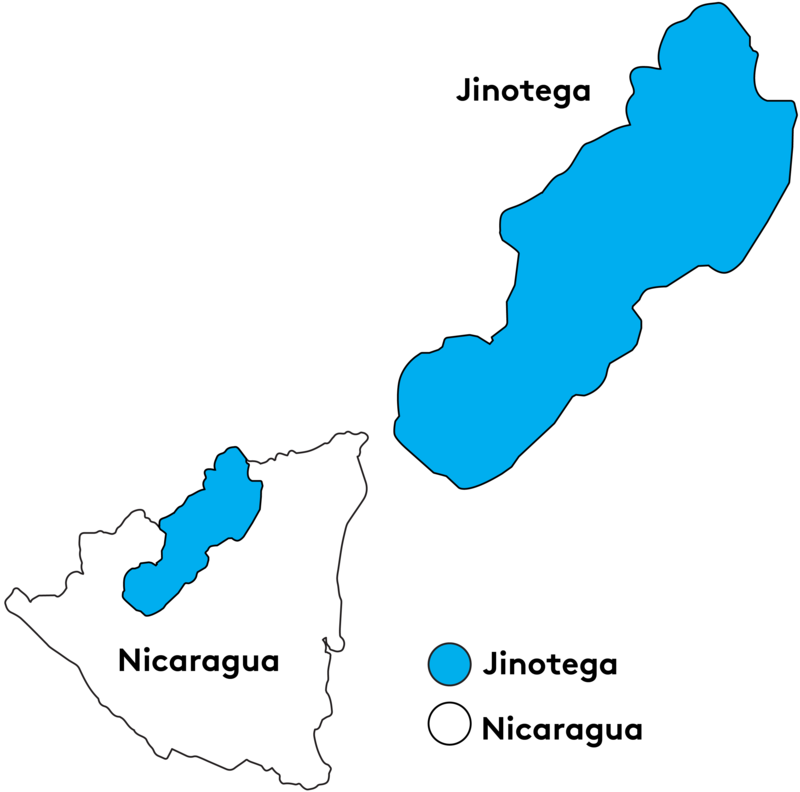 The main contributors are producers from the cloud forest of Cerro del Diablo, the mountains of El Volcán Yalí, and the lush region of Aranjuez.